Feeling excellent today. Have been seeing small improvements each day which pleases me. Would absolutely prefer minimal struggle during this withdrawal. Have been busy. We celebrated the 24th birthday great grandson, Nick. 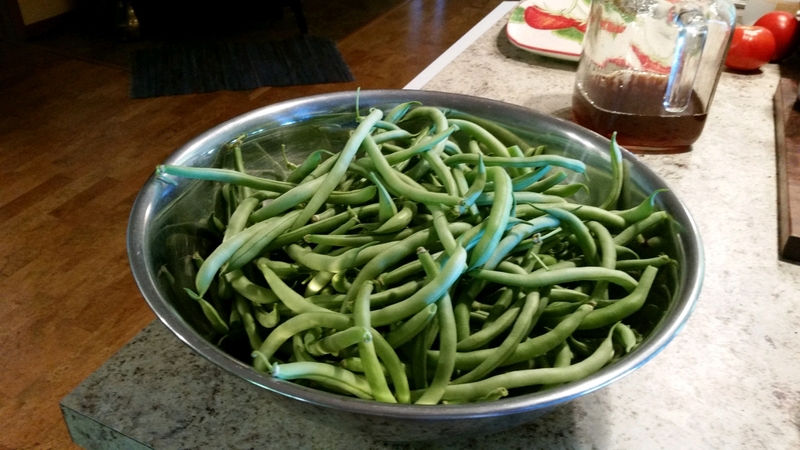 Picked mountains of green beans. Ate a lot of those beans. Usually I saute them with garlic & dill, but made one batch seasoned with pork in the form of bacon ends and threw in handfuls of new red potatoes. Cooked them like our Mother's used to. Omg delicious, pot liquor that was perfect for sopping up with bread. The husband and I agreed that meal was a success. Watched grandson,Tai play baseball yesterday evening. Very chilly for a June evening, would have been comfortable had I taken a jacket. Made yogurt popsicles today for tomorrow's lunch. Wanting to make the kale salad for tomorrow, not sure I have the energy. Finished the Inspector Morse series, no surprises. Currently reading a Dennis Lehane novel. I feel like the World's laziest woman today. I'm glad things are going well.